Encryption is a powerful tool that can protect email from prying eyes across the Internet. 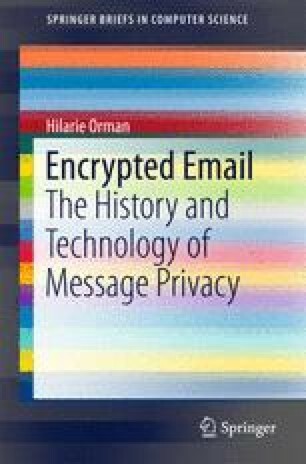 First developed nearly 30 years ago, email encryption is widely available yet rarely used. The reasons for its slow development and adoption detailed in this book. Other topics covered here are the underlying cryptographic techniques, tricks and tips for using common email applications and the impact of encryption on management and storage of email.